Beginner’s Ultimate Guide to Runes – Extended 2nd Edition! Are you a runes fanatic? Are you a beginner who is interested in learning about the magic of runes? If you answered yes, this book is for you! Runes are alphabetic scripts that are used for magic and divination. They carry a wide variety of purposes for someone practicing it. You can use it for protection, communication, direction and many more! The possibilities are endless! In this book, you’ll be guided on how to tackle this powerful tool. You’ll get to know where runes came from, and what it can do for your life. This book will provide valuable information to get you started. Many people are using Runes and have experienced a huge difference in their life. If you want that for your life as well, get your copy TODAY! 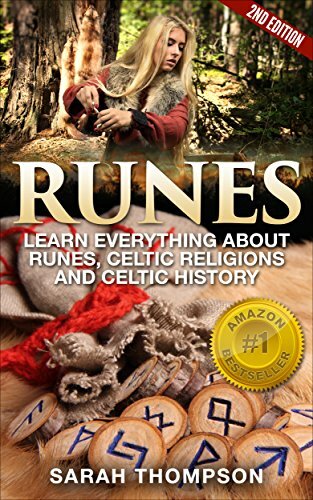 Runes: A Beginners Guide to Runes and How They Can Be Useful 2nd Edition is FREE for Kindle Unlimited Users. Scroll up and click the “Buy” Button.